I’m an avid reader, but I’m also very selective in the books I recommend to others, especially to my clients. I only recommend books that provide something tangible. Like advice that can yield actual results when appropriately applied. Below I’m sharing with you my list of must-reads I’ve shared with my clients. Keep in mind however, to see results from these books, you have to be disciplined enough to read them and to apply what you learn. If you don’t like reading, I suggest trying to find the audio version of each book or using a reader app on your phone that converts the book to audio. And if you don’t like spending money on books, several of my recommendations are available at your local library. I’ve included in my list how I personally obtained a copy of each book. Most of you have probably heard of Simon Sinek, especially if you watch a lot of TED Talks. His is one of the most viewed TED Talks of all time. Start With Why helped me refocus my business and redefine its mission. It forced me to look at why I do what I do and how to articulate my “why” to potential clients. His point is, people (including potential clients AND potential employers) don’t care what you do or even how you do it until they understand why you do it. I recommend this book time and time again when teaching my clients how to discover their own “why” and how to develop and articulate their own unique personal and professional brand. While one of the earlier chapters in the book seems to drag on, I encourage you to push through it to the rest of the book because you’ll find it to be a great resource. If you haven’t read it yet, don’t wait any longer! Body of Work shows you how to make sense of all your diverse work experiences and the skills gained from them, and how to tie them all together to create a career portfolio and professional brand. This includes not just your “official” full-time job, but also your side jobs, passion projects, volunteer work, artistic creations, etc. All of those experiences can add up to future opportunities you may have never previously considered. Designing Your Life provides step-by-step instructions allowing you to experiment with different possible careers and roles for your life. These experiments lead to ways to design and build your life the way you want it to look at various life and career stages. I’ve personally gone through the book myself, reading it twice and doing each exercise at least once. I choose which exercises I think would best suit my clients at their particular stage of career exploration and help guide them through those exercises. I’m also a member of the authors’ Facebook group for coaches and mentors. So, I use this book quite a bit and therefore highly recommend it! 4. Finding True Happiness by Robert Spitzer, S.J., Ph.D. I haven’t finished this book yet, but the first half is so good I’m confident in going ahead and recommending it. However, there is a disclaimer for this book. It can get very deep into theories of philosophy, psychology, physics, metaphysics, and theology by numerous pioneers of those fields. At times in the beginning, Finding True Happiness was a little over my head. But don’t let the scientific and academic jargon intimidate you. There is real-world understanding and application with this book, resulting in true happiness. This book was actually recommended to me by one of my first clients to recommend to my other clients. It’s perfect for someone who is facing a major transition in their career, whether it be an unexpected lay-off, hitting a career ceiling, a change in role or job function, or an unexpected offer in another industry. Do Over teaches you how to develop the four necessary elements of a successful career: relationships, skills, character, and hustle. In the spirit of this blog post, I’m giving away a signed copy of my Amazon #1 bestselling book Advance Your Image to the first five people who purchase my latest book, SUP: Spiritual Understanding & Prayer on a Stand Up Paddleboard ($12 + S&H). Advance Your Image contains advice from when I worked as an image consultant, and also includes job search advice to make you stand out above the competition. Spiritual Understanding & Prayer on a SUP is a 30-day devotional and 100% of the profits go to support missions in Brazil. To purchase Spiritual Understanding & Prayer on a SUP and receive a free signed copy of Advance Your Image, be one of the first five people to inbox me at lorib@yourpassioninlife.com with the subject line “Advance Your Image.” I’ll also sign the 30-day devotional for you. 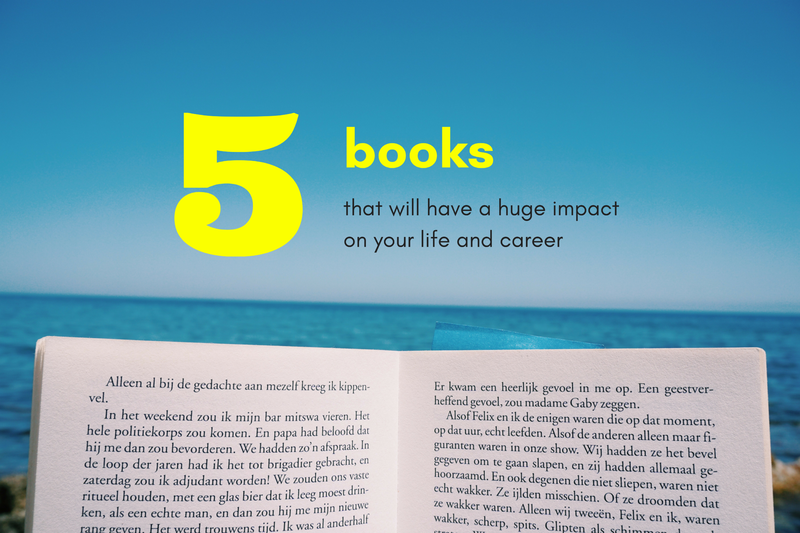 What are some books that have made a real impact on your life or your career success? Please list them below so others can benefit from them as well. Thanks in advance! If you liked this article, please tap and hold down the 👏 button to recommend and share it with others! If you enjoyed this post, you will love my blog at www.yourpassioninlife.com where you can also subscribe to my newsletter and receive a complimentary 8-Step Goal Achievement Plan. Originally published at www.yourpassioninlife.com on August 15, 2017.